We selected 6 crucial characteristics of meal delivery services: meal options, variety, nutrition value, portion size, flexibility, and price. Our team of experts used these criteria in order to determine which of these companies, Blue Apron or Plated, offers greater value for your money. Although both meal delivery services offer a number of new recipes every week, their meal plans aren’t too similar. Blue Apron provides 4 meal plans, including the 2-Serving and 4-Serving Signature plans for omnivores, the 2-Serving Vegetarian plan for veggie lovers, and the 2-Serving WW Freestyle meal plan, which brings you recipes crafted in partnership with WW, Weight Watchers reimagined. 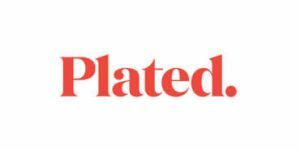 Plated offers 3 meal plans that differ in the number of people they are suitable for, including 2, 3 or 4. With each plan, you get to choose from a range of gourmet, vegetarian, gluten-free, low-calorie, and low-carb recipes. Blue Apron and Plated are both famous when it comes to meal variety. Blue Apron offers 22 recipes every week, 8 delicious omnivore and vegetarian meals on its 2-Serving Signature menu, 3 veggie delights on its 2-Serving Vegetarian menu, 6 WW-approved meals on its 2-Serving Freestyle menu, and 5 kid-friendly omnivore meals on its 4-Serving Signature menu. Plated always has 20 magnificent recipes for main courses and 2 dessert options. You can choose 2, 3 or 4 recipes that suit your taste and cook for 2, 3 or 4 people. Both companies offer dishes that are perfect for a balanced, healthy diet. With Plated, you can choose meals according to your taste. When it comes to Blue Apron, this meal delivery services allows you to opt for the meal plan that best suits your diet and choose the type of meat and seafood you like the most or narrow your choice down to vegetarian meals. Plated and Blue Apron both deliver only pre-portioned ingredients that are carefully measured for your balanced meals. With both of these companies, you can skip a delivery or cancel your subscription free of charge. It’s only important to do it before your next order is shipped. Blue Apron is a bit cheaper than Plated. Also, shipping is free on all orders, with the exception of 2-recipe boxes for 2 people. On the other hand, with Plated, shipping is free if you order meals for more than $60.